The Archetypal Cosmology Certificate is a six-course, 12-credit program offering weekly online classes over a nine month period. These courses may be taken either as a noncredit Certificate Program or as a credit bearing courses leading toward an accredited M.A. in Archetypal Cosmology and Conscious Evolution. Learn Astrology and work from the convenience of your home at your own pace. We offer a variety of Astrology classes at both the Certificate and Diploma levels. You'll receive personal mentoring by Peter Burns with every Astrology Course. Programs include Horary Astrology Certificate and Diploma, Palmistry Diploma, Astrology Foundations Course and Financial Astrology Course. The American Federation of Astrologers takes pride in its examination and certification program, which has been in existence since 1960. It was designed - and continues to this day - to promote AFA's educational mission and the advancement of ethical astrology. Candidates are not limited to any one system of mathematics, house cusp division, or school of study. Each, however, must demonstrate a high level of accuracy in chart calculation and interpretation. AFA offers exams in natal astrology at three levels of proficiency: student, professional, and teacher. Each of these is a separate examination, and you must pass the student exam before taking the professional exam, and pass the professional exam before taking the teacher exam. Founded in 1987, The Association for Psychological Astrology (APA) is dedicated to the integration of astrology and psychology. APA offers an AstroPsychology Mentorship Program, an accredited external Masters degree program in archetypal astrology through The Graduate Institute of Connecticut, and they offer online seminars and classes. The course material is based on Maurice's new research in astrology, using the archetype of Neptune and Pisces as the root principle in the chart analysis. Maurice's perspective is inspired by the evolutionary paradigms originally developed by Jeffrey Wolf Green. Upon fulfilling all course's requirements, participants receive a Certificate of Professional Practice in Astrology. The program includes approximately 240 hours of study including theory and practice, and is composed of 7 week-long segments over the space of a year. Basic background in astrology is required to register. This includes familiarity with basic astrology terms such as: houses, aspects and basic sign definitions as well as astrology symbolism. Part of the Course is now available for correspondence through DVDs This offers the opportunity to study at the comfort of your own home and schedule, with free email access for questions. Our modular Foundation and Diploma level astrology courses allow you flexibility to study astrology when you want. You can even explore the astrological basics of the birth chart with our Astrology Taster Course. Whether for personal development or professional training, you can choose to follow a specific program or select the particular astrological course that interests you. Astrologycollege.com supplies specially written astrology correspondence courses which come with the one-to-one support of an experienced tutor who will guide you through your studies. Study to suit yourself. All our astrological course material is printed and all our manuals are dispatched by mail. Most exercises give you the option of sending work by email or post. Our astrology correspondence courses give you the flexibility to study when and where you choose. Wherever you live, you can learn astrology in the comfort of your own home. Study astrology at your own pace. Choose the courses you need, and download classes whenever you want. Learn astrology with the best astrology teachers. Get access to carefully selected study materials and personal virtual tutorials. Choose from certification programs in Medical Astrology, Business Astrology, Evolutionary Astrology, and Traditional Astrology. Astrology University technical support and live chat tutoring is available Monday through Saturday. Instructors include Steven Forrest, Judith Hill, Madeline C. Gerwick, Mark Jones, Dena DeCastro, Demetra George, Austin Coppock and Tony Howard. Start learning today! Astrology the Cosmic Pattern Correspondence Courses were developed for the serious student of astrology who cannot attend classes on a regular basis due to their busy schedules, and for those who do not have teaching facilities in their areas. The educational material in these courses provide comprehensive information that cannot be acquired from any other source. Joanne is well-known for her unique talent for explaining complex systems in straight-forward language. She is a certified astrologer who has practiced astrology for over 30 years, and given lectures and workshops internationally. These courses provide a comprehensive and unique approach to Astrology. Each course contains 5 or 6 Lessons, providing, illustration, self-tests, self-analysis guidelines, learning tools and self-correcting assignments. The complete series of courses take you through an introduction to signs, houses, planets and their important interrelationships, various techniques for interpreting charts, and finally to examine horoscopes in motion through transits and progressions. The International Academy of Astrology (IAA) opened its cyber doors in November 1997. 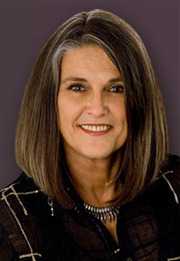 Ena Stanley, President and the 2012 Regulus Award Winner for Education, wanted to teach an independent curriculum that would encompass many of the astrological organizations certification requirements and enable anyone, anywhere, with a home computer to obtain an outstanding astrological education with personal attention. Today, IAA is internationally recognized for excellence in astrological education and graduates are authorized to use the title ‘Dipl.IAA’ after their name to demonstrate that they have completed this rigorous course of training and are then fully qualified to practice astrology in a professional capacity. Graduates of IAA have benefit of certification with ISAR and NCGR upon final testing. IAA’s two main courses of study offers the student basic natal interpretation to advanced delineation skills taking the student on the journey to become a professional astrologer. IAA also offers Medical, Traditional, Evolutionary and Vedic Astrology modules. Classes are also taught in the Spanish language. IAA often holds lectures and workshops independent from the curriculum and has a public library offering free articles written by notable astrologers. Past lectures and workshop are available for purchase. This Astrology course of thirty lessons is comprehensive and complete, From A-Z, it offers you an understanding and in depth knowledge of astrology. After successful completion of the course you will be fully qualified to practice astrology either privately or professionally and certified by Metastudies Institute as an Astrology Practitioner. We offer several options to pay for the course, from individual lessons, to discounted packs of 5 or 10 lessons, to the full course at an even deeper discount. We offer the lessons as PDF downloads with the option of a printed format for U.S. customers at an additional charge of $2 per lesson. Lesson exercises may be returned by e-mail as doc files, e-mail text, or by post (US customers only). 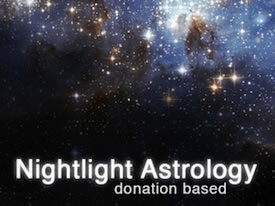 Nightlight School of Astrology offers first and second year programs both in person and distance learning. Donation-based tuition is available. Guest teachers include Adam Elenbaas, Erin Sullivan, Adam Gainsburg, Ari Moshe Wolfe, Armand Diaz, Adam Sommer, Eric Meyers, Eric Francis and more. The school is located in Silver Spring Maryland. Our 101 Astrology Program is unique because not only is it accessible 101-knowledge offered to the general public, but it is an incredibly holistic approach to the multifaceted study and practice of Astrology, taking into account different learning styles and ways to really understand this information through a variety of activities and experiences, all within a classroom setting. While it's important to understand Astrology intellectually from a head space, we also need to imbibe Astrology. We will understand Astrology not only through lecture, powerpoints and reading books, but we will also experience Astrology through music, video, art, games, meditation, food, reflection and body movement to see spectrum of these archetypes all around us, everyday. In the 1st-Year Program of the Portland School of Astrology, we explore the basics of astrology in standard and unconventional ways to best appeal to a multitude of learning styles and personal experiences. We learn how to delineate (interpret) a chart, learn cycles, phases, retrogrades, movement and transits of planets. We also cover topics of interest to the well-rounded astrologer that include Astronomy, History, Philosophy and we even get physical with Astro-Drama and Astro-Yoga! We also introduce specific topics in the diverse field of Astrology such as Esoteric Astrology, Medical Astrology and a variety of techniques to appeal to a variety of interests of students. Instructors include Jaysen Paulson, Rhea Wolf, Judith Hill, Andrea Gehrz and guest lecturers. The Pluto School is a forum for learning Mark Jones' approach to Evolutionary Astrology. Mark is a gifted teacher and his experience as a psychosynthesis therapist combined with his astrological expertise provides the perfect vehicle for immersing yourself in the study of this exciting and transformative work. Pluto School consists of 12 modules which will teach you how to give an Evolutionary Astrology reading. Classes include written and audio material, as well as self-tests and recommendations for additional study. At the end of the course, students are eligible to pursue certification in Evolutionary Astrology with Mark Jones. Classes are presented in sequential format, and you have the freedom to study at your own pace in this distance learning astrology program by utilizing the downloads and access to Skype tutorials (*available only to students of the Complete Course). Additional texts are required and will be assigned within the individual lessons.